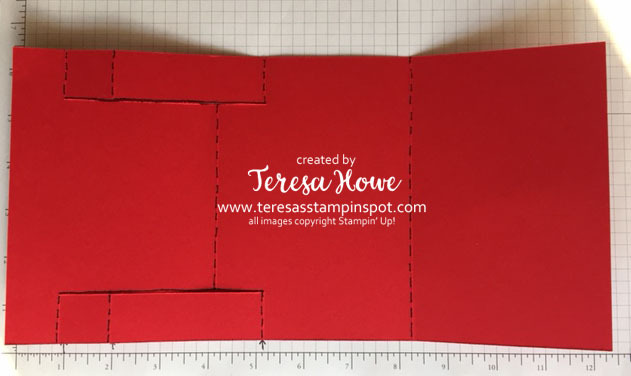 Start with a piece of cardstock that is 5 1/2 x 12″. With the 5 1/2″ edge against the top of your cutter place the Left Hand edge at the 1″ mark. Cut from 1″ down to 5 1/8″. Move the Left Hand Edge over to the 4 1/2″ mark. Cut from the 1″ down to 5 1/8″. Rotate the paper so the 12″ side is against the top of the cutter and the cut lines are to the left. Score from the outside edges to the cut lines at 1″, 2″ and 5 1/8″. Mountain fold for the 1″, 4 1/8″, 5 1/8″ and 8 1/4″ score lines. Valley fold for the 2″ score. 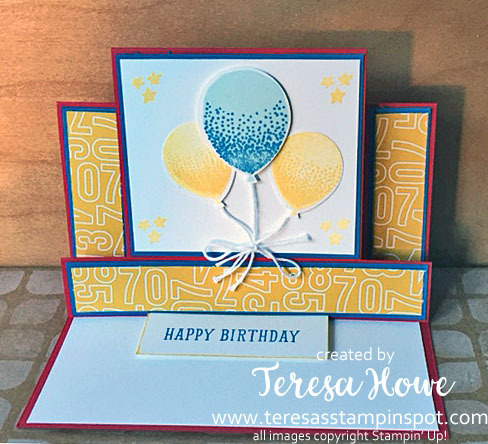 I hope you will let me know if you decide to try and make a Center Step Easel Card!